We are the children of one world and one universe. Let us save it with our join hands. One India one community for international peace. Live and let live all living beings. PERSONAL PROFILE OF ASTROLOGER ‡ KERO YOUNG ‡ OF NORTH EAST INDIA. This profile has been prepared from his real life and most of the portion of his activity have not been included and if it is done so then that will be a great book of his life and I am planning to write a book on his complete activity in near future. O.L. Momin, Member of unmdg, solution exchange, India chapter and national working chairman of all India volunteer workers congress. Present Official Address: RATNA KUBER, G.S. ROAD, MANIPURI BASTI, GUWAHATI-781008, ASSAM, INDIA. Education: HOJAI, KAIMGANJ, GUWAHATI, CALCUTTA & DELHI in Science Stream & Astrology. He has completed high esteem of Astrological Degrees and research works from different institutions of India. He also Practices Kamrupiya old and Modern scientific Astrology in Computer and manual. Vedic Astrology and Yoga. He also has Done research for global peace. He is a leader in the field of Sacred Astrology of Kamrup/Mayang and Modern Astrology in Assam. is an Astrological title and in Goggles Wikipedia he has been considered as North East India’s No. 1 Astrologer. The people of Assam can proudly say him as the son of the soil of world’s notable state of Assam where only one horned Rhino, Elephant, Tiger and thousand species of fishes are inhabiting and expanding their generations from millions of years. This is the only place where the yoni pitha, Navagraha Temple, Ashram of ancient siege Basistha was dwelling upon. This is a very hard working and dedicated person as we all know. He has done a lot in the field of astrology for the last so many years and gathered much experience. Once a cabinet minister of Assam admitted that is the first person in Assam who have shown the next generation that how to earn daily bread and butter for one’s family by helping the distressed people who is in distresses and problems. It is kind of social service to make one’s life in a smooth and enjoyable by following right path in his/her life which is possible only through astrology. Psycho therapy and proper consultation is possible only in the field of Astrology and has shown it to the people of Assam and the next generation people should always follow him to make this world beautiful. Apart from Astrology he is also involved in various field of work like social service through his civil society BIKALPA, writer, poet, actor, producer, news editor, publisher, political king maker & good citizen. He is running a civil society named by BIKALPA registered under Societies Registration act of 1860. The organisation has completed almost seven years. Bikalpa is helping the BPL group for the last several years and working for the up to the level of grass root people and a very popular organization in Assam. Sometimes, to inspire the small students Bikalpa arranges Art competition, Text Book distribution, School Fee payment for poor students etc and all expenditures are born by the organization itself. Kero Young is the Chairman of this organization doing very successful work in the locality as well in the state of Assam. He received so many appreciations through many more media and other government, semi government departments and civil organisations as well. Briefly speaking from his very childhood is a very well behaved, loved by almost all the people of Assam and well spoken helpful person. Whatever he earns from his profession, he spent a lion share for the development of the grass root people. In this way he has been helping the nation and it is notable for the concept of UNMDG (United Nations Millennium Development Goal) of 2015. He should be provided professional security, Grant in Aid for Astrological Research. He has done a lot for BPL and grass root people of seven sisters of NE India. He has donated Pace Maker, Books and Fees to the poor students, Rickshaw and mobile PCOs to the unemployed poor youths, Cloth Donation to the BPL group, Wedding Arrangement and financial help to unable couple, SHG micro finance, Small Cottage Industrial Finance to Women Groups and Housewives, etc. etc. Magic is an Art and was providing entertainment to his audience through this art for so many years under the banner of Dass Brothers. Whatever he earned from this art, he has been helping the poor needy people at grass root level of the state. He has developed the Magic Art in a very unique manner and other persons of same art cannot detect the same and was apprised by many celebrities of this field. Frankly speaking he is one of the celebrities of Magic or Astrology and media should take special item on his art for the development of the Nation as well as inspiration for the next generations. He was the publisher and editor of SAINIK news paper and SRIJANI and both the papers were gaining much popularity among the Astrology lovers of Assam. He wrote some books apart from these he wrote many articles on Astrology, poetry etc. 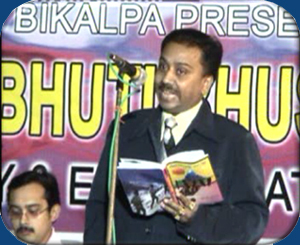 in various Assamese and Bengali news magazines and daily news letters. His tremendous labour and contributions are incompatible and praiseworthy. Besides, he has been writing astrological articles and socio-economic development articles in many leading Assamese and Bengali News Letters and Magazines of North East India. He has a great popularity among the people of seven sisters of India. He is so to say great proud of seven sisters as well of Indian Nation. In addition he has produced and directed an Assamese Film Tyag and so many Assamese serial and was gaining great popularity in the region. He also has done many commission programme of DD1 Guwahati which in fact a great contribution of Assamese Nation. According to him, the young generation should come forward to build a new Golden Assam and rebuild the nation with dedication and constructive works and not by extremism. 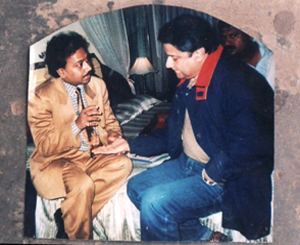 At the very outset started his professional career as a Magician and Indian Tantra from his very childhood. In India, traditional Tantrikas spent many years under the guidance of a spiritual teacher and engaged in elaborate yogic rituals to purify and master the body and mind. These practices were intended to awaken the powerful psychic energies through which the adept could enter into higher states of consciousness when a disciple was deemed ready he or she partook in the spiritual works. 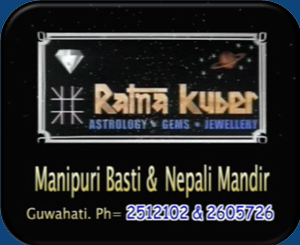 He started his Astrology since from 1992 under the banner of Ratna Kuber situated in front of Nepali Mandir, Rehabari, Guwahati-781007. Since then he has been doing rigorous research and developed technology up to the modern age of third generation Astrology. 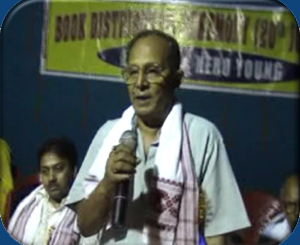 He is the first astrologer who started computerized modern and scientific astrology in NE India. He has been helping the poor students, families with astrologically as well as financially. He never earns money by giving false assurance and never mislead his devotees. Once it is known by him or it comes into his knowledge about his client regarding his inability to perform rituals and remedies Kero Young himself help him/her personally from his end and never ask any remuneration for it. He is well behaved, well versed and perfect in dealings. He has started research work on celestial astrology and developed next generation astrology for the future generation. This is a great dedication of modern and Indian astrology. Computation, compilation and documentation on celestial astrology and cosmic radiation of VIBGYOR and UV+IR and their effect on all living beings in this world is not so simple and easy work which he has done with the help of his colleagues and friends. Indian astrology is popularly referred to as Vedic astrology. This is not because it is there in the Vedas. There is no mention of astrology in the Vedas. However, it is one of the Vedangas, i.e., limb or branch of Vedas, and dates back to the Vedic period. Several of the Poojas and remedial measures prescribed in the Indian astrology are as per the Vedic system. Hence, it is called Vedic astrology. The Vedangas are six in number. They are: Siksha or phonetics, Kalpa or ritual, Vyakarana or grammar, Nirukta or etymology, Chhandas or metrics and Jyotishya or astronomy and astrology. These are mentioned in the Upanishads. He is running an institute named as Vedic Astrology and Yoga Institute in Guwahati where in students are taught Vedic and Modern Astrology and Yogic Meditation and also Devi Puja which is quite legal from the point of religeoustic view. The tantrik worship of these most powerful Vidyas must be practiced only under the guidance of a siddha Guru. Kero Young is running his institute along with many experts Gurus and specialized team of siddha gurus from every nook and corner of the state and region. AWARDS, FALICITATION AND APPRICIATION OBTAINED BY HIM. He has received many more awards, appreciations, felicitations from various governments as well as organizations of National and International. He received Indo Nepal Friendship award in 1997, IKA Award in 1993, Dr. Ambedkar Award in 1995, Pramathesh Baruah Paritushik Award in 1995, etc. Apart from these he receives Netaji Memorial Award, Swami Vivekananda Memorial Award, Manab Sewa Award (Social Service Award) etc. from various organizations of India. He received Jyotish Samrat Award in 6th Asian Astrological Conference held in Guwahati, Nepal etc. He did so many spiritual works along with Bangiya Tantrik Samaj, Pandit Sri Ram Krishna Shastri, Acharya Bhrigu, Sukracharya Muni, in Kamakshya original Yoni pith, Bagala, Chhinnamasta, etc. Many devotees and his disciples acquired good result from him. He has around ten million disciples in seven sisters of NE India who are still following him and he is number one as per goggle search in astrology and Vedic meditation. Guwahati, Assam in the year 2004. It was formed by Kero Young and is a socio economic development organization. 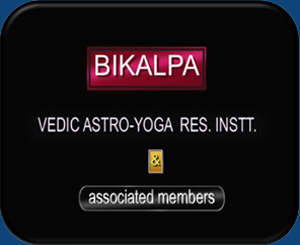 Bikalpa has received much appreciation by various media and government official as well as other organisations. He is a dedicated social worker and his aim in life is to serve the poor and BPL people for their hunger, health, education etc. Kero Young delivering his valuable speech in a Cloth, Money and Rickshaw distribution camp and self help awareness camp in Nagaon, Assam. He has donated many of the above items to poor young group who are unemployed and was ready to join against main stream. So, he has saved and help the country to some extant whatever was possible for him and from his meager income which is really praiseworthy. 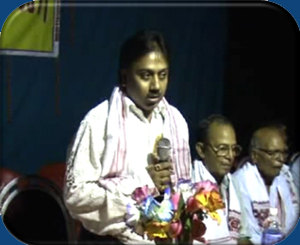 Kero Young delivering his valuable speech in a Cloth, distribution camp and self help awareness camp in Nagaon, Assam. He has donated many of the above items to poor young generation and helpless who are unemployed and depressed in their life. So, he has saved and help the country to some extant whatever was possible for him and from his meager income which is really welcoming by the locality. 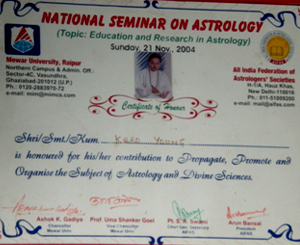 Kero Young was awarded with National Seminar on Astrology held in Raipur on 21st November, 2004. He has done much research work on the subject and dedicated his life for Hindu or Indian Astrology, Palmistry, Vastu, Tantra in modern and traditional method and it has been recognized and accepted by all his followers and devotees. 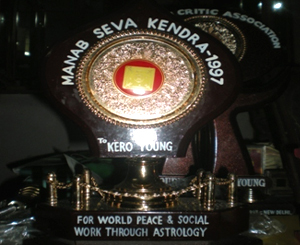 Kero Young received the most prestigious award and certificate of Manab Seva Kendra, Guwahati, Assam in 1997 for his dedicated service of Astrology and World Peace. This award is given to a very special celebrity on a particular field of work. The organization is fully satisfied with his works and research done in the field and offered this award as he is considered as a very significant person in the field of World Peace through his Astrological and Tantrik services towards the nation as a whole. He has been doing research in the field of Astrology, Religion, Tantra, Hindu and other mythologies for the last twenty years and attained in to the top level of goal usually very small quantity of people achieve this level. So, he is the son of the soil who has dedicated his life and faced so many struggles to achieve this goal. He has done a lot for world peace through his dedicated works. 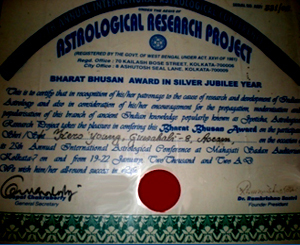 Bharat Bhushan award in 2002in Silver Jubilee year of ARP’s International Seminars was awarded to Astrologer Kero Young for his research work on Indian Hindu Astrology and Palmistry. He was considered as the shining star of North East India and Number one Astrologer. So, in Astrology world he is a celebrity personal. 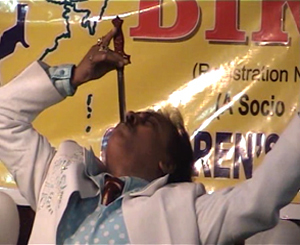 Kero Young was awarded with the best magician award by the Howrah Magic Circle in the year 2008. This professional Art was acquired by him in his early age of seven. Since then he has been showing his Magic Art in different Function like Bihu, Puja, Children’s day etc. and gain popularity among the people and the magicians circle as his techniques are quite unique and differ from others. 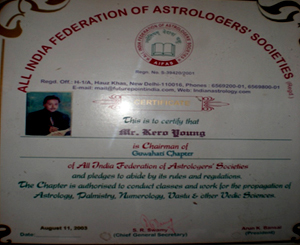 Kero Young was nominated as Chairman of Guwahati Chapter by All India Federation of Astrologers’ Society, New Delhi. 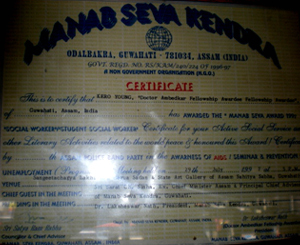 He has started an Institute of Vedic Astrology and Yoga Research Center in Guwahati under this banner and guidelines. He is a successful Astrological Celebrity personal and a Gold Star in clear sky of North East India. Very less quantity of people usually have this type of thinking and ambition in life. 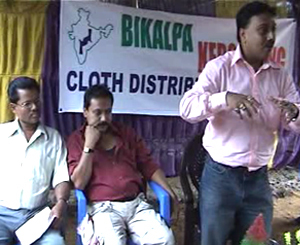 Chief Guest delivering his valuable speech in a Cloth, distribution camp and self help awareness camp in Lanka, Assam. Kero Young has donated cash and kinds to poor young generation and helpless who are unemployed and depressed in their life. So, he has saved and help the country to some extant whatever was possible for him and from his meager income. 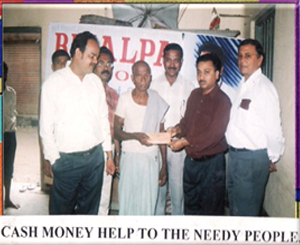 Cloth, Money and Rickshaw distribution camp and self help awareness camp in Nagaon, Assam. He has donated many of the above items to poor young group who are unemployed and was ready to join against main stream. So, he has saved and help the country to some extant whatever was possible for him and from his meager income. Kero Young is an actor, director, script writer, novel writer, poet etc. 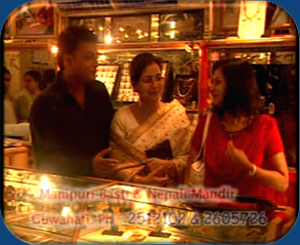 this picture was taken in a seen of an Assamese TV serial. He is very much popular through his Assamese film Tyag and Assamese Comedy Serial Mangaloo Mahajanar Biyah. Apart from his own profession he has contributed much for the Assamese community as well as for Assam. Kero Young organized and donated Durga Puja in Hojai Railway Colony where he has done awareness among the young generation so that they are not instigated for any works which are illegal and against the government but involved in nation building works and make unity among the people of different communities as a whole. They should engaged themselves in socio economic development activity. Kero Young distributing cloths and money in a meeting arranged by BIKALPA. This help was made from Kero Young’s own income. He never sought any help from the government or other organization as his main aim of life is to help the poor people from his earnings. He earns for his family as well as for many poor families in distresses and helpless. 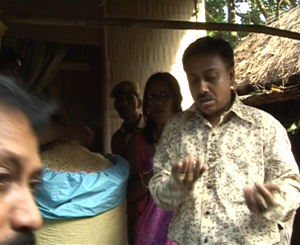 Kero Young helping the people of Hojai, District Nagaon, Assam in riot victims. Hojai town is very sensitive area where two main stream Hindu and Muslim are proportionately equal and Kero Young has been trying to unit them together and became successful for many times. So, Bikalpa is taking leading part in this crucial matter and in near future also the organization will work dedicatedly as they promised. Kero Young helping the needy people in terms of cash money so that they can start their own business and live their livelihood in a smooth manner. Existing Government cannot cover such a remote areas and the people are also not aware of any government help. So, Kero Young has been helping these people from his own income. Kero Young has started one religious instituted named by VEDIC ASTRO-YOGA RESEARCH INSTITUTE in Guwahati, Assam where all the students are taught Astrology and Yoga research as per Vedic principles and theory. 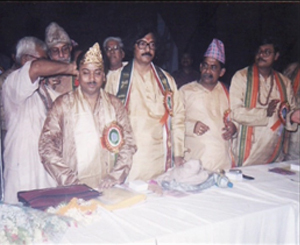 Kero Young was an Acting President of 6th Asian Astrologers Congress held in 2003 and the President of IARI of Assam Chapter since 2004. 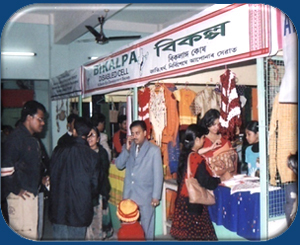 Bikalpa organisation is also helping and facilitating the marketing of the products produced by the Local SSI group. There is a great problem of market for the SSI Group as they can produce a lot of quantity as well as quality but do net get proper market and as a result their products remain unsold and make losses. 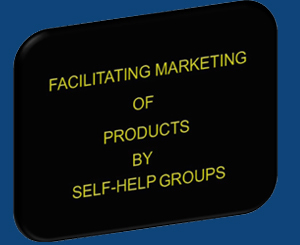 But, Kero Young through his organisation Bikalpa facilitate for marketing their products and it is a help for them. He Arranges trade fare for promoting and selling their products in various places of the state and financially help them to purchase raw materials, to organized stalls etc. for displaying their product in a proper way and by which they became much benefited from their products as well their skill increases. Apart from this he has done funding works also from his own income to some small scale industries producers groups. Kero Young arranged art competition on a children’s day in 2007 and awarded skilled students/children on that occasion through his organization Bikalpa. He also distributed books and pencil along with cash money for school fee etc. 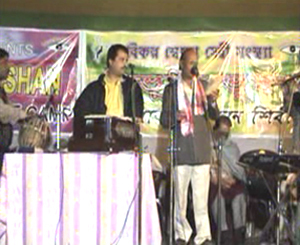 on that occasion which was greatly appreciated by the local people of the district Nagaon. On that occasion many dignified personalities were attended and judged the competition. 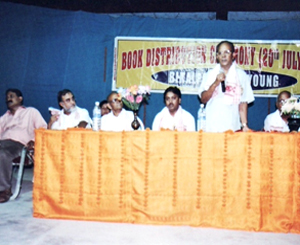 Kero Young arranged a Book Distribution camp at Hojai, Lanka etc. in which he has donated books and stationeries, Cash money for the poor students whose parents are unable to bear the same. He has done this type of activity for several times. He also donates school uniforms and cloths to the needy poor people. So, he is a very popular social activist in the locality and media also published it frequently. Kero Young is examining the palm of famous singer Anupjhalota of Mumbai and predicting his present and future. He is a very popular Astrologer in the film city Mumbai where he has done lots of Astrological Activity for several times. Like he has seen the horoscopes of Shatabdi Roy, Binod Rathur, Anup Rathur, Jitu Tapanda, Anuradha Padwal and so many and they are much satisfied as they said. As Tantrik he performed puja/tantra at Kamakshya Temple along with their local puruhit and pandas. From his very childhood he is much more interested in various religions and has been working for sarba dharma shamannaya. He never hates any religion instead inspire all to stick in his/her own religion with true heart and dedicated devotion and worship throughout the life so that, there will be no religious clash at all. 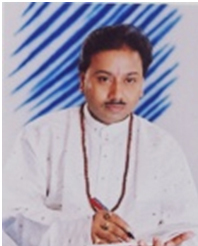 Kero Young was awarded Jyotish Samrat and Gold crown in 6th Asian Astrologers Congress in 2004. He submitted his thesis on a very unique subject of Astrology and Tantra and was selected as the best topic and thesis in the 6th Asian Astrological Congress held at District Library in 2003. Around twelve hundred Astrologers from different countries attended in that seminar. Kero Young through his organisation Bikalpa facilitate for marketing local products and it is a great help for the local SSI and producer groups. He has been helping people by teaching people how to earn one’s own livelihood and daily bread without depending on government departments. So, he is like God Father of the local people of Hojai, Lanka etc. where the local people have got much help from him. Kero Young the Magician performing his Magic show on children’s day under the banner of Vikalpa a civil society (Voluntary Organization) working for grass root people and very popular in Nagaon district, Assam. Apart from this he has distributed sweets, food etc to all and books to poor students whose parents cannot afford to provide them all the required books and pen etc. Ratna Kuber Gems & Jewelry, own by Astrologer Kero Young where dozens of employees are working for their livelihood. Ratna Kuber is a name of Astrological Research and diagnostic center of human fate written by destiny for each and every one. So, this organisation has been serving many people for the last two three decades. Many State and Union Ministers have diagnosed their fate and according to Their requirement they have taken precautionary measures for better life in their future. He is dealing proper Astrology, Genuine Gems Stones having his own Gems testing Machine and sells every gem after proper quality and genuinely testing. The state government also earns VAT, Sales Tax etc. as well Income Tax by the GOI too. So, he is helping the people in distress, problems in their life and detract from their life. 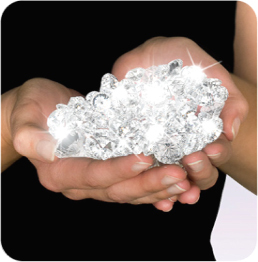 He also inspire the people through Astro Psycho Therapy, Gems, Puja Therapy etc. and the related people get much benefit out of it. This is an one kind of social work for which he dedicated his life and most valuable time of his life and he has depart from all kind of luxury and comfort for this spiritual and religious activity. He is really the son of the soil to begin with. Compiled and written by O.L. Momin, Member of Solution Exchange, Northeast India Chapter, United Nations Millennium Development Goal, (UNMDG) and National Working Chairman, All India Voluntary Working Congress.